What are some Momentum Stocks? Here are a list of some that look good to me in the various price categories that I use. 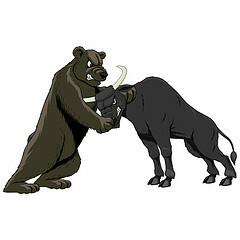 Note: Positive and Negative Cashflows do not mean they are bullish and bearish plays. You have to understand how to read a price chart, see the pattern and put the cashflow in context with the pattern. Many of these stocks are at Pivot Points or nearing them, so these are great areas to bracket trade, meaning allow the stock to tell you which direction it wants to go. Don't forget to set appropriate stops once you are in the trade. The scan that I have came up with 217 symbols and obviously that is far too many to look at. Even these smaller lists are too many, but if you see your stock on here or some that pique your interest, check out their chart and see if it's worth trading. This is NOT my recommended stock list, just me going through my scan very briefly and looking at the chart VERY briefly to see if there might be a good play. I liked things that did not look to messy and easier to play. But, that's just at a very quick glance. Sorry there are no charts or an explanation of each symbol as to why I thought it might be good, but I gave the loose, eyeball criteria I used. Most all have averge daily volumes of over 1M.